20 oz. Ring O' Challah from New Morning Bakery in Corvallis. The stuff is more dense, eggy and sweet back East, but this is a decent substitute. Hä-lä, as the bakery spells it out phonetically, is no longer a rare delicacy here. Our first night in Corvallis, almost exactly two years ago. 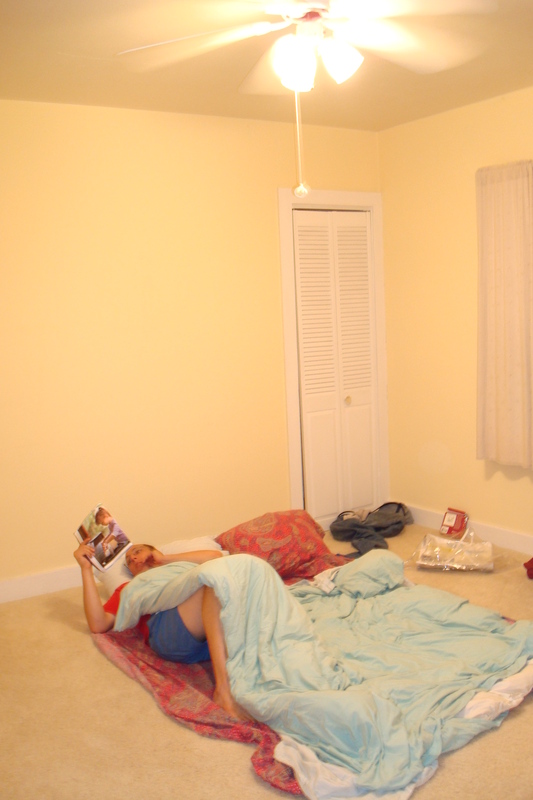 Funny, Dan has returned to sleeping on the floor some. He thinks it's good for his back. We need to get a tatami mat. It’s September 2010, which means we’ve been here exactly two years now. Though after another summer mostly out of town, it somehow feels like we’re moving in once again. It’s a time of new beginnings. With the new school year and approach of fall (it’s friggin’ cold here! ), somehow it makes more sense to celebrate the new year now instead of in January. It also just so happens to be the two-year anniversary of this blog! Yet walking around the Corvallis Farmers’ Market yesterday with a gal from back East who is new to town, I realized how comfortable I’ve finally gotten here. I’m especially grateful for the farmers, chefs and activists who make our local food community so vibrant. 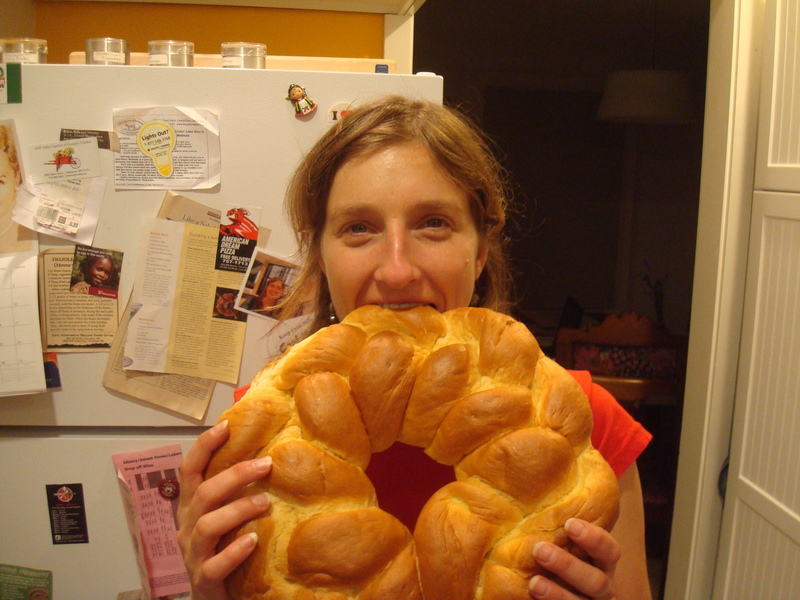 Speaking of Rosh Hashanah, this article on kreplach, the Yiddish dumpling, made me nostalgic. I only made them with Nonny (and my mother) once, but I have fond memories of rolling out the dough and stuffing the wontons that day. Nonny’s mother’s kreplach recipe calls for cinnamon-spiced chopped brisket or roast beef, but any leftover meat can be used. Maybe I’ll try a vegetarian version, since we feel compelled to eat less meat these days. 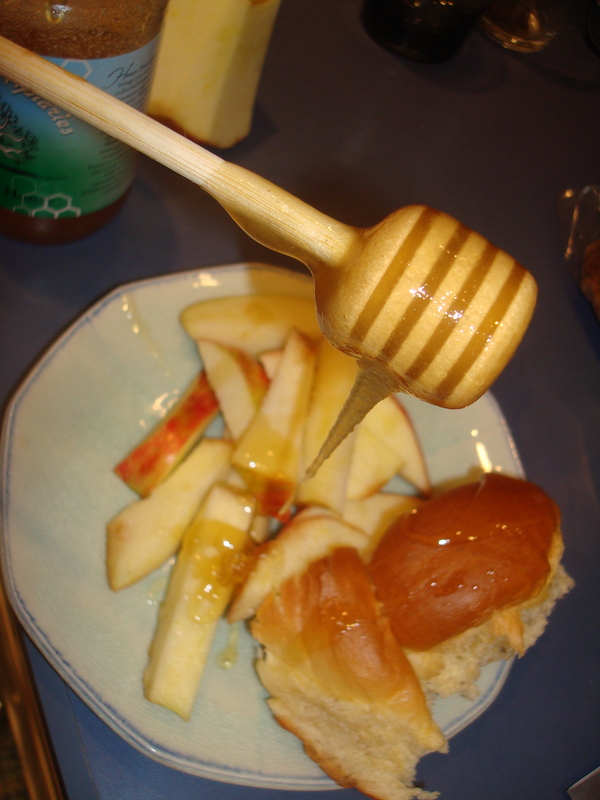 Local challah, local Honeycrisp apples from First Fruits Orchard, local Honey Tree Apiaries honey for a sweet new year. Plus, a real honey wand I picked up in Brazil. Now, I see the beauty of these things. Less sticky mess when drizzling honey.